What happened yesterday is unprecedented: No corporation, business, or cooperative has truly challenged SWIFT for its dominant role in cross-border value transfer - until now. SWIFT has made a habit (I believe) of purposefully not mentioning Ripple technology when they talk about options for doing instant cross-border payments, and have seemingly opted to keep their clients in the dark when in regards to how technology can already move money as fast as information. Long absent is their acknowledgement of Ripple as either a competitor to their own technology, or as a viable alternative to it. How Ripple Handled Needing a Larger Role than Just "Exhibitor"
The leaders at Ripple are not ones to wait for the future to arrive; for them, it's already here, and their standardized bank offerings bring home the point with precision and clarity. To counter SWIFT's attempt to obscure the current availability of technology that will immediately enable banks to make instant payments across borders, Ripple decided to do what it does best; lead from the front. And that leadership meant founding a new worldwide summit of a different kind; one where the best technology is invited to take center stage and can serve as a technology showcase to banks and other financial institutions. To connect with the greatest audience in their role as a technology innovator, Ripple scheduled it for the same city and time frame of SIBOS! Now they just had to name it. When your company has an enormous mind-share and stake in the promotion of new, innovative technology that is guaranteed to save banks and financial institutions money and can make sending money across borders as fast as information can flow, it's not time to be a wall flower. 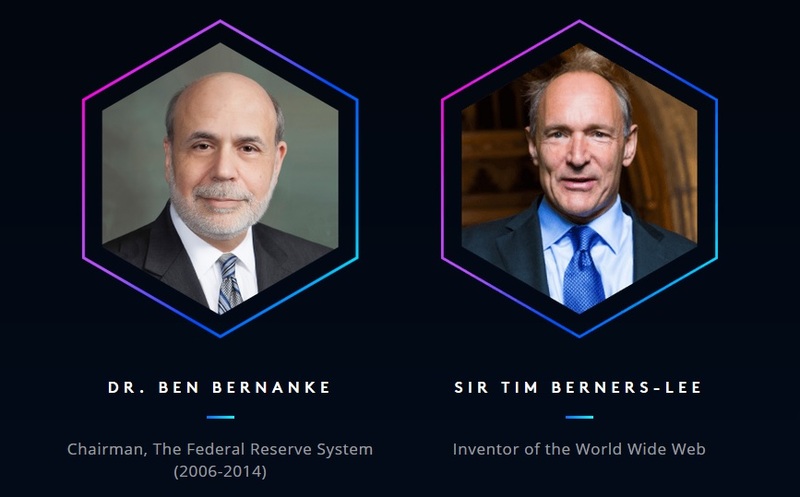 Ripple decided to go big, and that meant a count-down to what could potentially be the most historically significant new financial technology conference in thirty-nine years. They started with a three-stage countdown to their announcement of SWELL, and those of us that own their digital asset were not disappointed by the market's reaction. 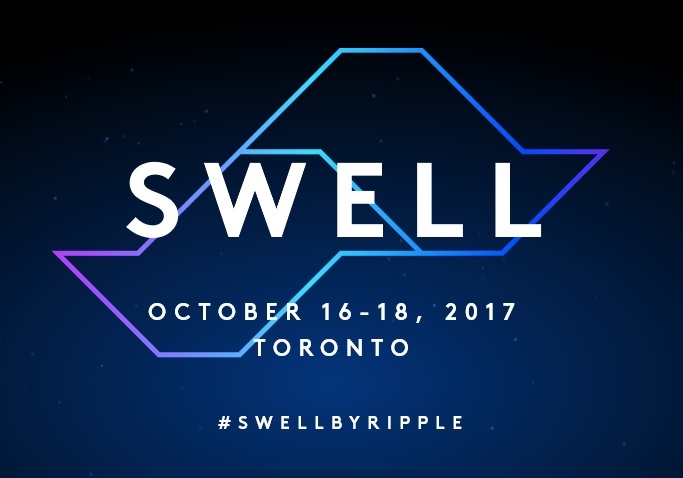 Day 4 - Thursday August 24, 2017: Introducing #SwellbyRipple, where innovation, #blockchain and banking converge. When Ripple initiated their three-part countdown announcing SWELL, the crypto-currency market reacted with overwhelming interest in XRP, driving the price higher by over 70%, as reported by Fortune magazine. 11 The volume measured in dollars was just short of the daily trading volume of Bitcoin, the industry's leader. "XRP's value lies in its utility as the best asset for payments, not one specific event or rumor"
The prices have retraced somewhat as of this writing, but the volume of XRP trading worldwide is still running at spectacular proportions. It's not just about Ripple fighting back against a monopoly on cross-border value transfer. It's about a history of foot-dragging that has cost businesses and individuals billions (if not trillions) of dollars of wasted time and money. In 2017, you should be able to send money to your family in another country faster than it would take to fly it there yourself, but the SWIFT network is not capable of overcoming those issues using it's legacy technology. This sort of double-speak serves as a delay tactic to re-assure their current bank members that they "are looking into it" while still enabling some of their members to keep making money off of a broken system. Other banks and their customers are not so easily fooled. When an existing, proven technology like Ripple is being used throughout the Pacific rim banking network, customers start asking questions like "why am I paying such high fees to wait two days after sending money overseas?" As a result, there is no shortage of schadenfreude at SWIFT's obvious discomfort when their SIBOS publicity is preempted for the purpose of promoting better technology. SWELL is more than just a bold stroke of marketing for the world leader at instant cross-border payments; it's a harbinger of change worldwide, one in which the economic organizations of the world - from the IMF to the US Federal Reserve - are united in supporting. The move to instant cross-border payments is one that individual and businesses have waited too long for; it's 2017, and we are demanding to send money across the world with the same ease and cost that we send email. SWELL provides an opportunity for innovations that truly make a difference for banks, financial institutions, and most importantly, for the end-users - the customers.